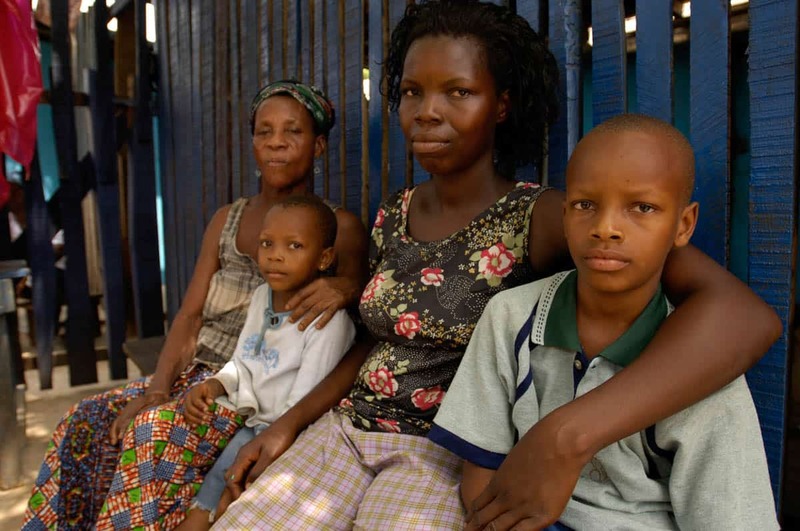 The people of West Africa’s Ghana are warm and friendly. They are polite, open and trusting — even with strangers. They take life at a relaxed pace and view time as a series of events rather than a matter of hours or minutes. To Ghanaians, people are more important than schedules. “Let’s get to business” conversation is considered rude. 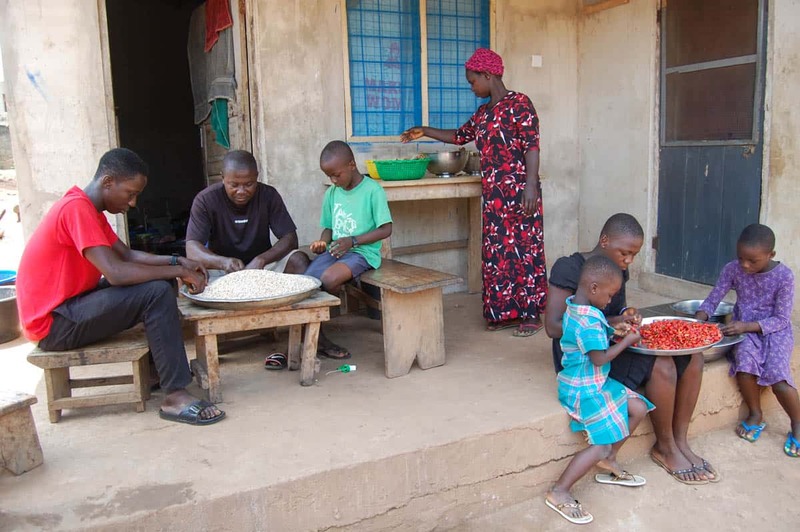 Ghanaians exchange pleasantries and inquire about family before beginning business. They greet one another, making extra effort to greet older people. With the men, handshakes almost always accompany greetings. 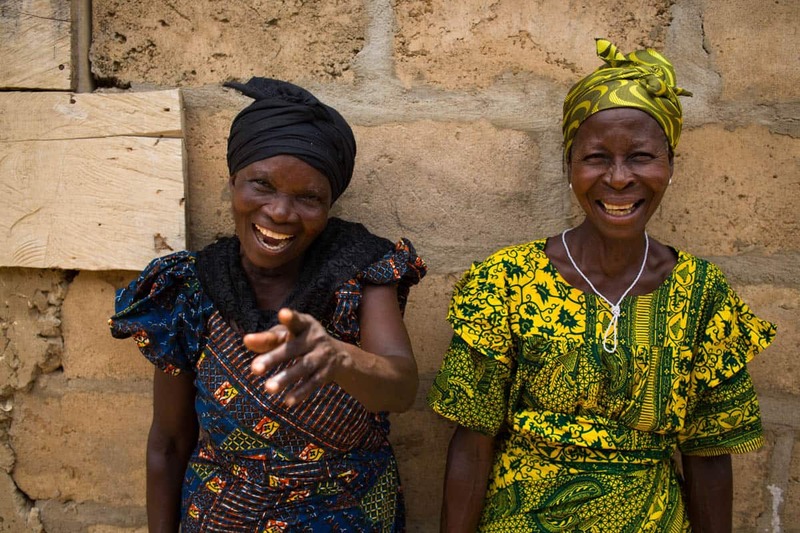 Ghanaians emphasize values such as the importance of family, respect for the elderly and honor for traditional rulers. They place high value on dignity and proper social conduct. Individual conduct is seen as having impact on an entire family, social group and community. Therefore, each person is expected to be respectful, dignified and observant in almost every aspect of life. An entire family shares any loss of honor, which makes the culture a collective one. In order to protect this sense of “face,” there is a need to maintain harmony. People behave with decorum to ensure that they do not cause embarrassment to others. Everything is shared — even food, no matter how small the amount. If a Ghanaian is interrupted while eating, he invites the other to join him. Depending on the level of familiarity, the person may wash his hands and join in. If the relationship is casual, the other person will politely decline. Wohu te sen? — How are you? When talking to an older person, a Ghanaian must not gesture with his left hand. In fact, anything done with the left hand is considered rude. Nevertheless, some people write or do things with the left hand because that hand is stronger than the right. They never use the left hand to eat or gesture, however. Ghanaians are indirect communicators. They take care not to relay information in any way that could cause issues. This includes delivering bad news, turning down an invitation or refusing a request. Ghanaians want to protect face as well as maintain harmonious relationships. 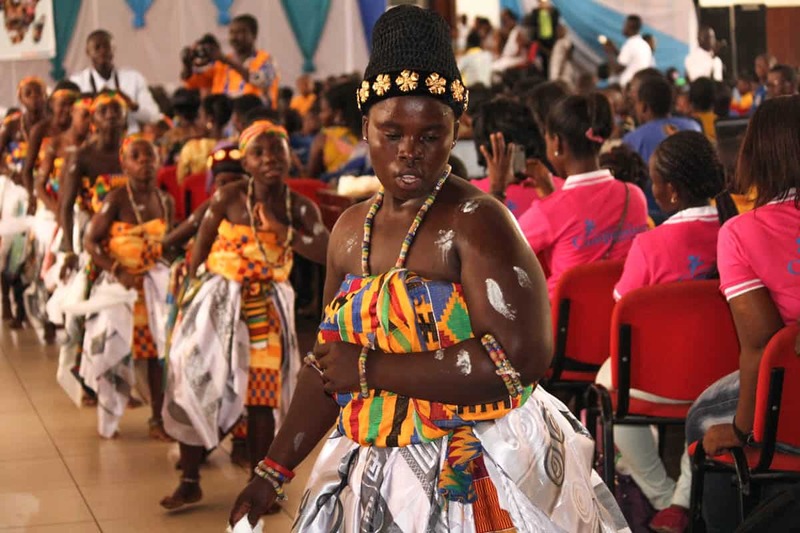 Ghana is often described as a land of festivals, music and traditional dances. Most communities, clans and tribes have annual celebrations. There are three main types of music in Ghana. Ethnic, or traditional music, is usually played during festivals and funerals. Highlife music is a blend of traditional and imported music. Choral music is performed in concert halls, churches, schools and colleges. 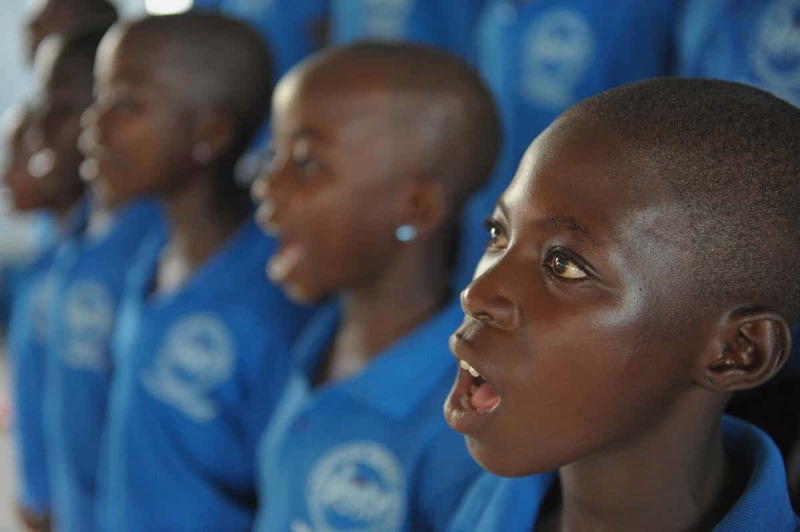 Children registered at some of the Compassion-assisted Child Development Centers in Ghana have formed choirs. One such choir is the Kasoa Cluster Mass Choir, which rocked the national theatre during last year’s fifth anniversary celebration. It is a tradition for children at our Child Development Centers to welcome visitors and sponsors with elaborate drumming and dancing. This is an expression of appreciation and Ghanaian hospitality. 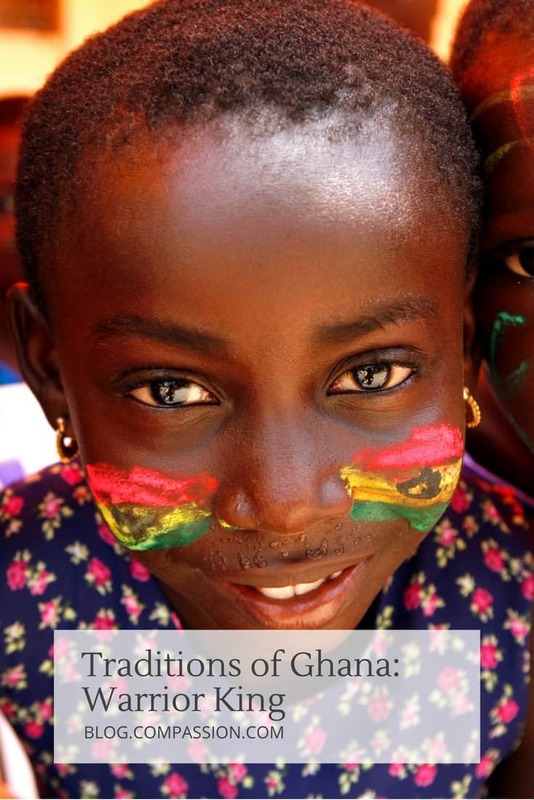 Along with being serious about their own customs and traditions, Ghanaians are fast learners who easily understand and adopt other cultures and practices. This makes Ghana a comfortable, easy country for everyone to live in and for outsiders to visit. 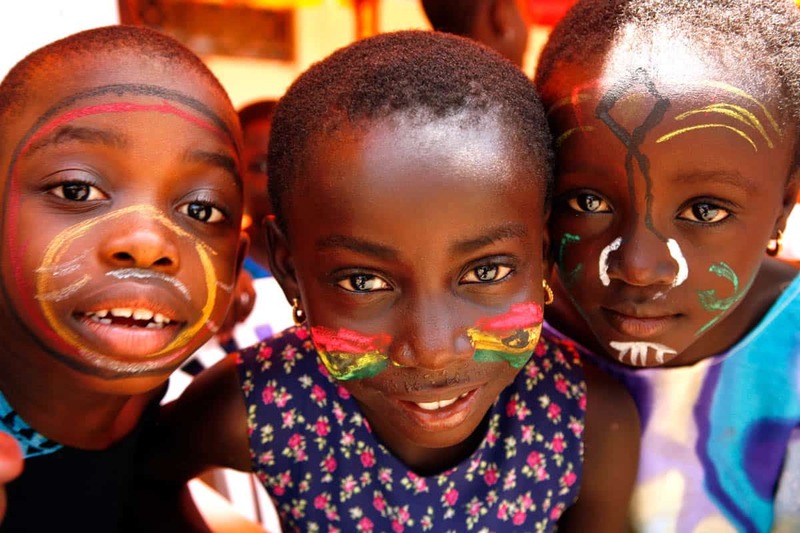 Learn more about Ghana and our work there! This was originally published April 23, 2012. 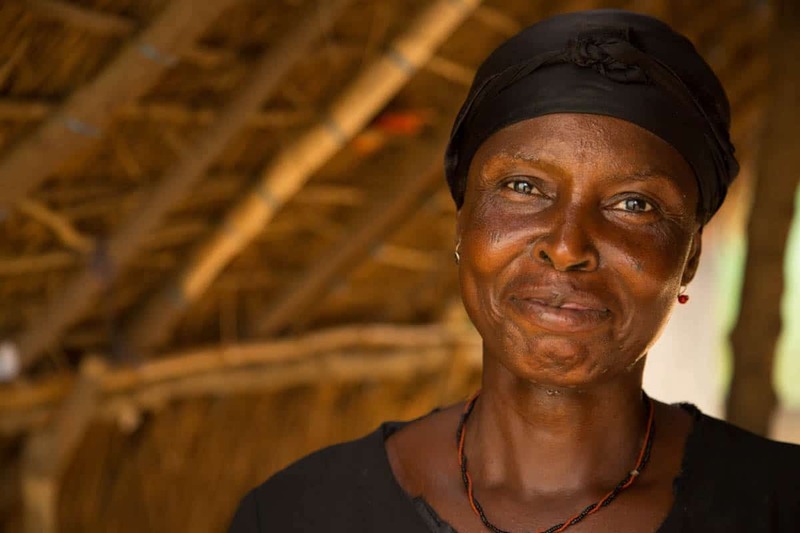 Vera is a Photojournalist for Compassion Ghana. 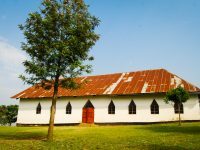 Prev Post:25 Gorgeous Pictures of Churches in the Developing WorldNext Post:Hurricane Matthew in Haiti: We Are Here. We Survive. 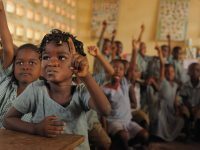 I visited my sponsored child last April and I can tell you how friendly and welcoming all the CI staff I met. I had a wonderful touring the country and all the people I met were all nice and kind. I just got back my Ancestry DNA, and I am 94% African with most percentage in Ghana. I would like to know as much as I can about my culture to embrace it. Reading this article explains so much as to who I am and now explains my warm spirit as I have been told. I just got back from a 2 week short term mission in Ghana. It is a beautiful country with beautiful people. They do love the lord and there is a great need there. Thanks Compassion for highlighting this great country. Three days after I left the President passed away and there was a peaceful change of power within 30 min. This was a great model for the rest of Africa. Good read, I really enjoyed it. It reminded me of my childhood there, which I miss very much :(. I’m laughing about the left hand gestures, I was left handed so anytime I would try to grab or greet an elderly person, they would smack my left hand away. The people are indeed very nice and friendly, I would encourage anyone to take a trip there if they can. Thank you so much for a beautiful picture of this wonderful country. Many ‘first world’ countries could learn a thing or two…..